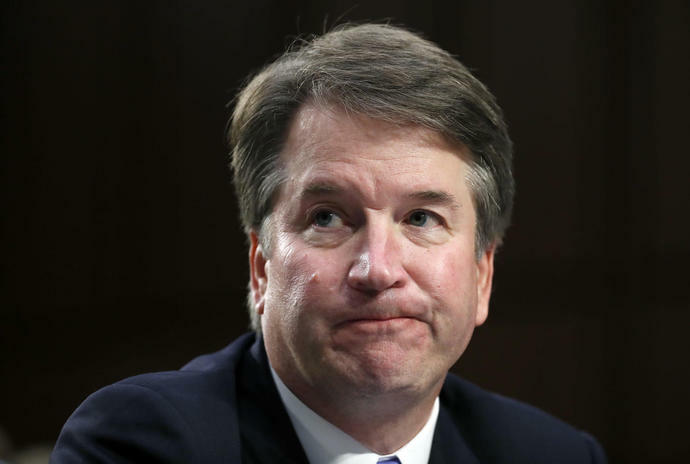 WASHINGTON (Reuters) - A woman who has accused President Donald Trump's Supreme Court nominee, Brett Kavanaugh, of sexual assault decades ago wants her allegations to be investigated by the FBI before she appears at a U.S. Senate hearing, one of her lawyers said on Tuesday. Christine Blasey Ford, a university professor in California, has accused Kavanaugh of assaulting her in 1982 when they were both high school students, allegations Kavanaugh has called "completely false." "Nothing of substance and nothing legitimate can happen by Monday," Lisa Banks, an attorney for Ford, told CNN. In a letter to the committee's chairman, Republican Senator Chuck Grassley, Ford's attorneys said an FBI investigation should take place before any testimony. A copy of the letter was posted on CNN's website. A hearing would represent a potential make-or-break moment for the conservative federal appeals court judge's confirmation chances for the lifetime post on the top U.S. court, as Trump pursues his goal of moving the federal judiciary to the right. Earlier on Tuesday, Senator Lindsey Graham, another Republican on the committee, said the panel would vote on Kavanaugh's nomination next week whether or not Ford testified. "If she does not want to come Monday, publicly or privately, we're going to move on and vote Wednesday," he told Fox News Channel.